Residential Electrical Services: We do it all! Staley Electric offers services for all aspects of residential work. New construction, renovations, service work, installs, new lighting, circuits, etc. 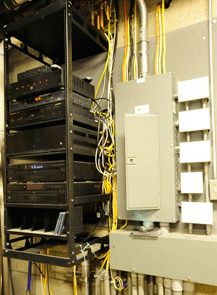 From new wiring to just installing circuits, we are your choice. Recessed lighting upgrades, task lighting, and interior lighting design- We install wiring to existing walls and new. We also upgrade your old fuse box to a new breaker panel. 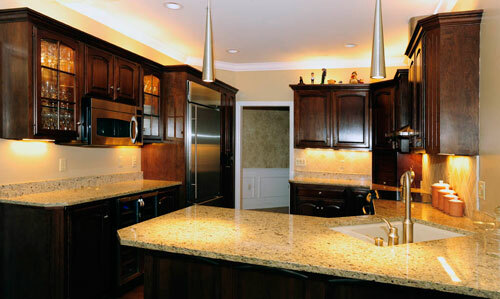 We provide wiring for all types of kitchen, bath, and whole house remodels. 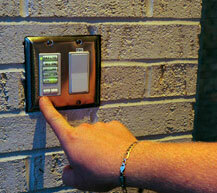 We also install dimmers, occupancy sensors and timers, and other energy saving devices. We offer automated controls including automatic blinds. Staley Electric is a certified Lutron Homeworks installer. Did you know that lighting can account for up to 20% of a household’s yearly electricity usage, and up to 40% a year commercially? Lutron dimming saves energy without sacrificing style or convenience.